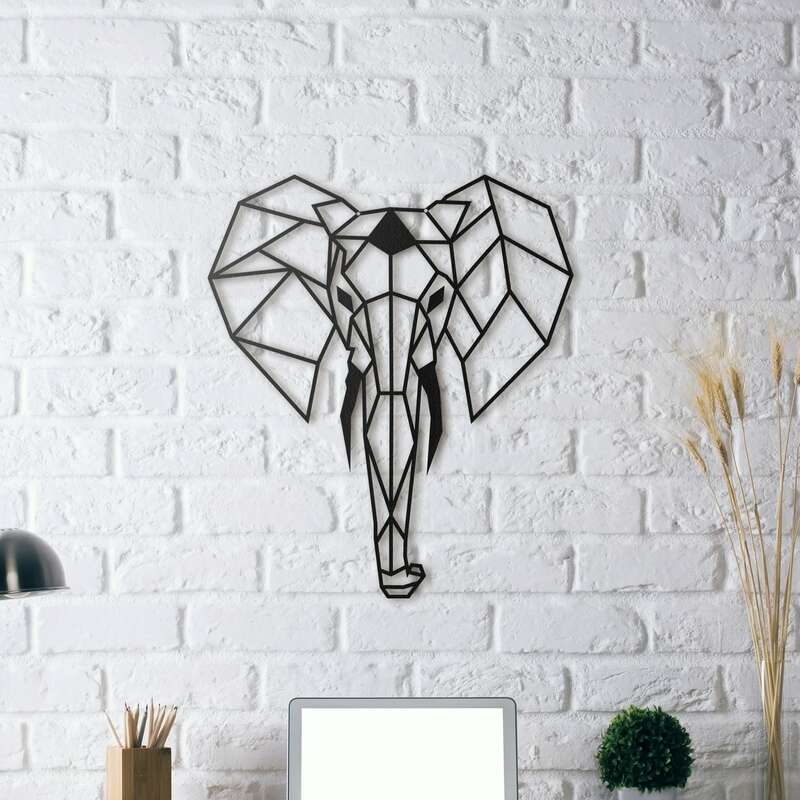 An impressive elephant head as a metal wall decoration. 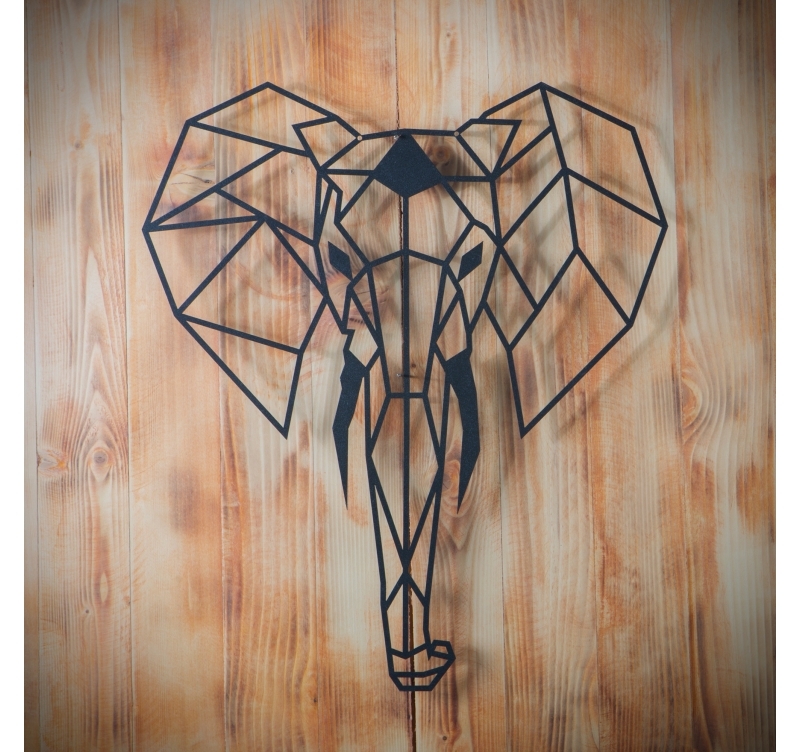 Hang up this pachyderm on your walls with our hand made design sculpture ! 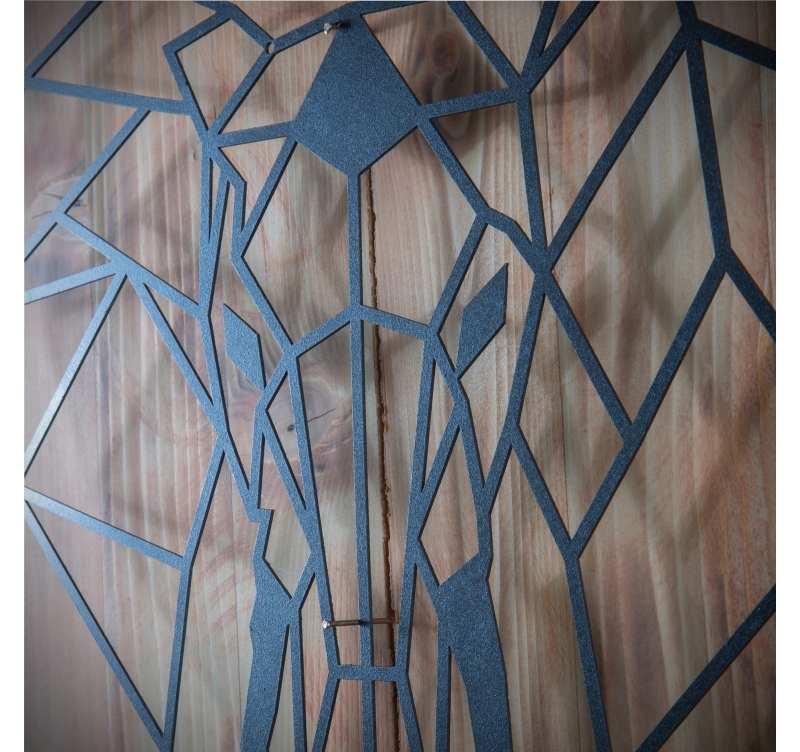 The dimensions of this metal wall decoration are 45 x 52 cm (L version) and 75 x 90 cm (XL version). This black elephant design metal deco is delivered free in metropolitan France and Belgium. Spellbinding curves enhanced by a shining black that is all it takes this design metal wall decoration to bring energy to your interior ! 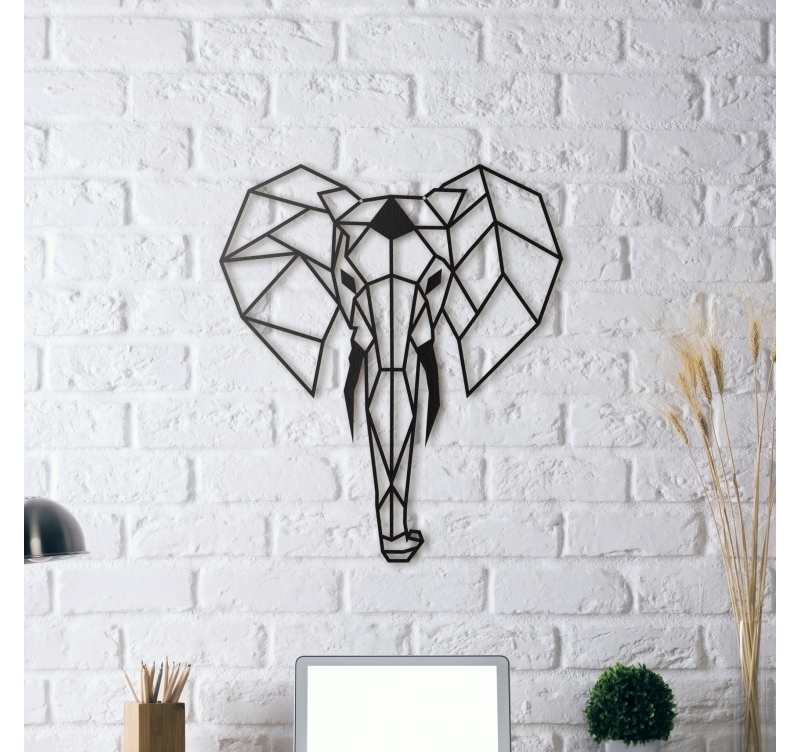 Large ears and imposing trunk, you will catch your guests’ eyes with this modern metal elephant head design deco. 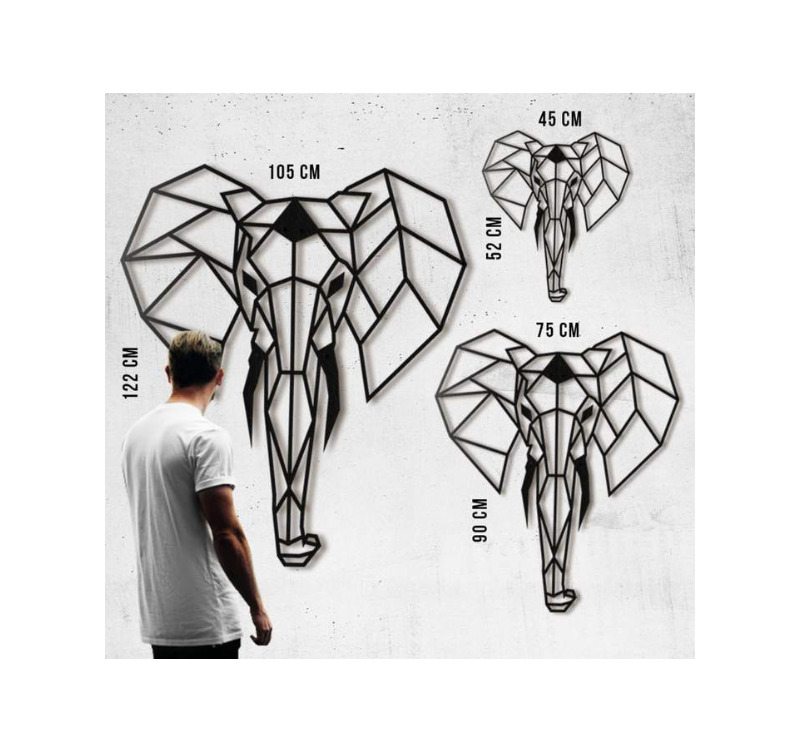 The geometrical lines will impose this elephant design deco on your walls! If you wish to decorate your lounge or bedroom with a touch of originality this design wall decoration will be the perfect object. All our design wall decorations are hand made by our creators and treated with a black finish for a long lasting quality. 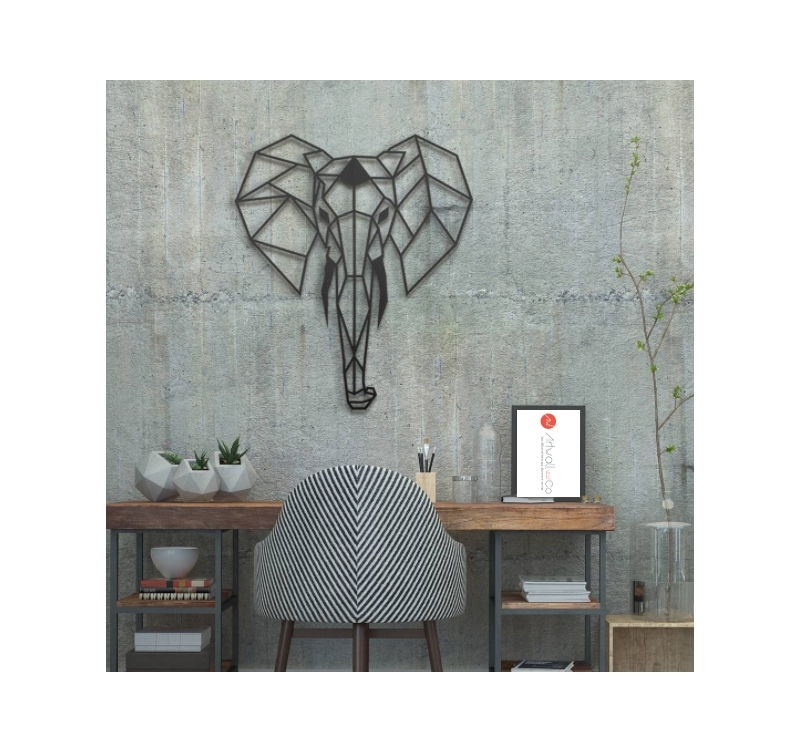 This elephant head metal wall decoration is delivered in a protective cardboard box and wrapped in foam for a safer delivery. Très contente de mon achat. D'une qualité irréprochable. C'est une belle pièce qui fait son effet sur un mur blanc de l'entrée de la personne à qui je l'ai offert. Belle qualité. Je recommande ce produit.